Joseph Hadden Hogsett was born in Rushville, Indiana, on November 2, 1956. After graduating from Rushville Senior High School in 1974, he attended Indiana University. 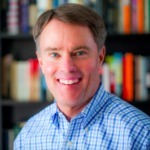 Hogsett majored in History and Political Science at IU and received his A.B. degree in 1978. He the enrolled at the Indiana University School of Law, receiving his JD degree in 1981. Hogsett also holds a M.A in English (1987) from Butler University, a M.T.S (1999) from Christian Theological Seminary, and a M.A. in History (2007) from Indiana University in Indianapolis. After law school, Hogsett joined the Indianapolis law firm of Bingham, Summers, Welsh & Spilman, where he specialized in federal civil rights and employment discrimination litigation. Hogsett would rise to become a senior partner in the Bingham firm, while also becoming involved in Indiana politics. In 1990, he was elected Indiana Secretary of State, serving until 1994. From 1995 until 1997, he served as Chief of Staff and Senior Advisor to the Governor. He was Chairman of the Indiana Democratic Party in 2003 and 2004, and in 2010 President Obama nominated Hogsett to serve as United States Attorney for the Southern District of Indiana. He was confirmed and held the position until 2014. In 2015, Hogsett was elected Mayor of Indianapolis. Joseph Hadden Hogsett received the Indiana University Maurer School of Law Distinguished Service Award in 2016. "Joseph Hadden Hogsett" (1956). Notable Alumni. 179.